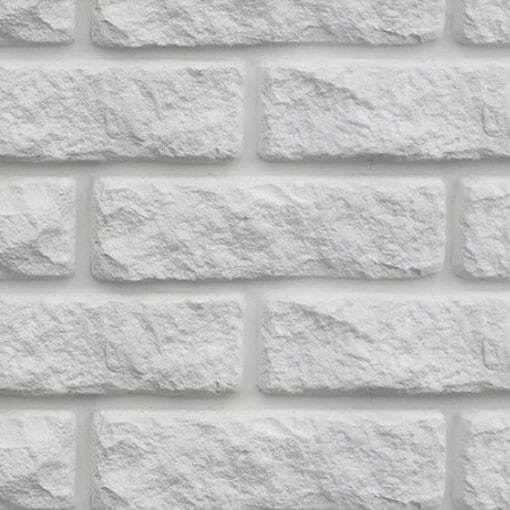 Masterbrick White – Cast Brick Slip samples give the appearance of hand laid brick walls but with the convenience of easy installation and the benefit of huge cost savings. This sample pack is sold at £6.95 (£5.79 ex VAT). Each sample pack holds 2 slips. Our Masterbrick range of thin bricks have been designed to add a contemporary twist to a traditional product. These thin bricks are made from hardened Gypsum and are an ethically sourced product. 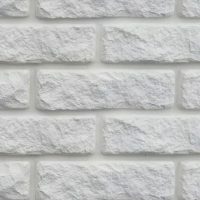 Used internally on renovations or new builds and this product will add depth and contrast to any interior design project. Although you still need to use an adhesive to bond these thin bricks to the wall, they have been specially designed to interlock together. The bottom profile of the slip that helps to link the slips together is moulded to form and fill in the pointing space between the slips. Higgins Wall Decor Store caters for different tastes and creative minds. Once installed these thin bricks give the appearance of hand laid brick walls. Our cladding products have the convenience of fast fit and easy installation with the benefit of online savings. These specially designed thin bricks can only be used internally and are supplied as individual units to be fitted to most substrates using a suitable adhesive. If used to renovate a property, for a new build or internally for a feature wall, your project is sure to impress. A Higgins Wall Decor choice will give you that designer look you’ve been after. Size: 228 x 73 mm (+/- 2mm). Thickness: 20 mm (+/- 2mm). No of slips per sample order: 2. Postage is included in the price. Royal Mail 1st Class service. Typical delivery lead time is 2 – 3 working days. For all main orders of Brick Slips over 100 m2 or for Stone Cladding orders over 60 m2 please contact us as delivery lead times maybe longer than stated above.